There’s nothing quite like waking up to a refreshing shower to set you up for the day. But as well as bringing us to our senses, did you know that a morning shower can also help you find creative solutions to problems? I recently wrote a health article for The Daily Mirror on why mornings can be a great time to get healthy. 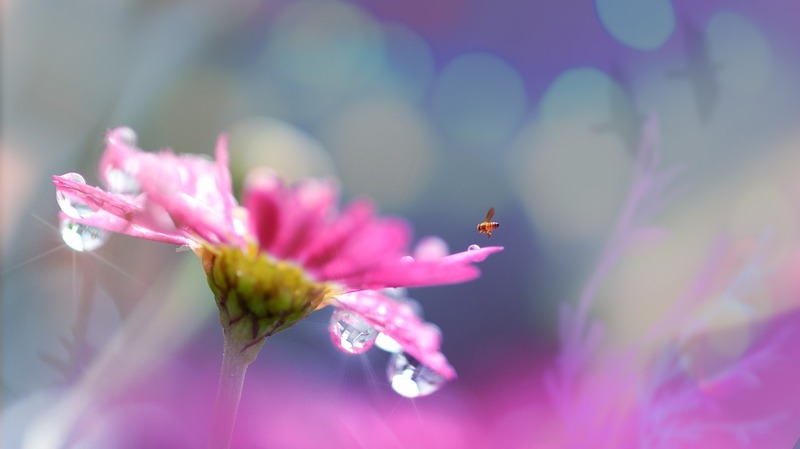 In the course of my research I learnt that – according to a psychology expert at Harvard University – taking a shower in the a.m. can help calm stress and spark ideas because it puts us in a relaxed – but alert – alpha brain wave state (similar to the state that meditation and yoga can induce) where our thinking processes relax, renew and regenerate. 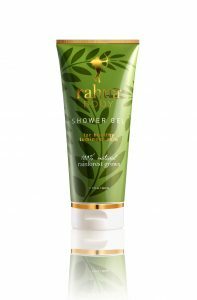 I’ll be extolling the virtues of an evening shower on another post where I’ll pick out my favourite Wind-Me-Down Shower Gels, but for now, please find below my peppy picks of energizing, revitalizing (and perhaps even idea-inspiring) shower gels to give you a spring in your step to start the day. 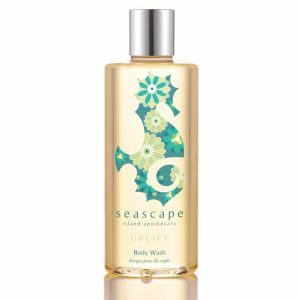 SEASCAPE UPLIFT BODY WASH, £16, www.seascapeuk.com. This ‘island apothecary’ brand uses ingredients sourced from local producers on the gorgeous island of Jersey, designed not only to pamper and care for your body but also give therapeutic benefits. Gently stimulating, it contains 100% natural oils of Jersey Ecualyptus plus lime and lavender. It’s paraben, silicone and SLS-free and comes prettily packaged in a bottle and box adorned with a floral seahorse. Complete the pamper with matching Body Lotion. 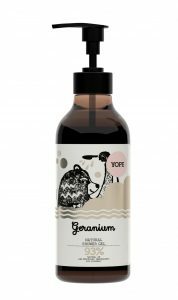 Inject a little fun into the shower with YOPE Geranium Shower Gel. All YOPE products come comically illustrated with animals – think pigeons or rabbits in bowler hats; monkeys and bears in bow ties. Hailing from Poland, the brand is dedicated to making products that are free from unnecessary additives like sodium laureth sulfate which can cause dry, irritated skin. The geranium fragrance in this wash is sweet but fresh and full of positivity! And the bottle comes in a generous 400ml size making it great value for money. Bursting with organic essential oils of bergamot, rosemary and geranium, specially mingled to make getting out of bed a breeze, this gentle (but invigorating) body wash is from the gorgeous mood-boosting range of products from Angela Langford Skincare. The brand makes its goodies by hand in Somerset keeping them as natural as possible, using ingredients from ‘nature’s larder’ – and all are cruelty-free. This wash leaves the body perfumed with a warm, sweet scent that melts into the skin and lasts for ages. Luxury bath and body brand Noble Isle sources authentic, quintessentially British ingredients worthy of its crest ‘the Coat of Balms’. In this sumptuous summery body wash you’ll find extracts of elderflower and gooseberry from an archive of heritage produce at The Lost Gardens of Heligan as well as a hint of cut grass, orange blossom and oak moss. Result? A zingy, fresh and frothy wash that transports you to a Cornish Summer holiday for a few minutes in the morning, whatever the weather outside. This Rainsforest-inspired beauty brand uses Rahua and Sacha Inchi oils sourced and processed traditionally and sustainably by the women and men of the Quechua-Shuar and neighbouring indigenous Amazonian people. The oils – rich in omega-3 and omega-9 lipids – help restore your skin’s natural moisture levels whilst quinoa revitalizes your body and the unusual Palo Santo ‘holy wood’ earthy aroma makes you want to meditate in your morning shower. 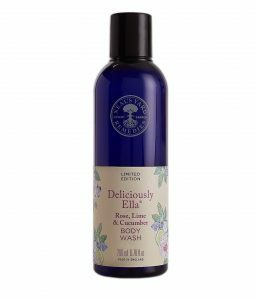 For their latest collaboration with wellness and wholefood cookery expert Ella Mills, Neal’s Yard have introduced a fresh body wash mixing crisp cucumber with zingy lime and sweet rose to complement the facial wash and moisturiser that was developed last year. It’s a limited edition so don’t be cool as a cucumber – catch it before it’s gone. Inspired by the British countryside, Bramley beauty products contain natural botanicals and fair-traded essential oils – and you may have seen them in the rest rooms at quality hotels, restaurants and pubs. This body wash lets loose with a squeeze of get-out-of-bed grapefruit essential oil but settles on the body with a lingering scent of orange blossom. Sweet. Are you a morning shower person?? All sound so lovely! Could definitely be converted to a morning shower person!